Hortus Kewensis, ed. 1, 2 (1789) 428. A branched stem succulent, with greyish brown bark, with half-persistent stipules. 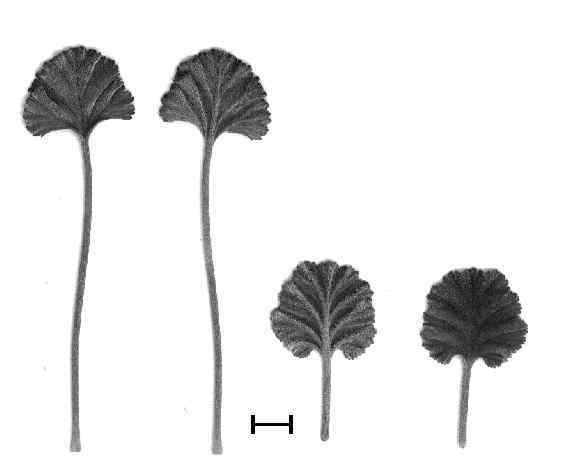 Branches 15-20 mm in diameter, less in cultivation. Lamina 30-55x20-50 mm, simple, sericeous (appearing grey), glandular hairs not conspiceous. Lamina broadly ovate, base cuneate, apex rounded. Petiole 30-55 mm. Stipules triangular to ovate with acute apices, membraneous. Scape with pseudo umbels, each with 5-9 flowers. Peduncle 25-40 cm, sericous, pedicel 1-3 mm. 5, narrowly ovate, apices acute, grey-green. Hypanthium 15-25 mm, sericeous. Petals white, yellow, pink to lilac coloured, posterior reflexed at cca. 90 deg, spathulate apices slightly retuse or rounded, 12-15x5-7 mm, anterior 10-12x4-6 mm, sharply reflexed at >90 deg, often of a darker colour than the posterior two. 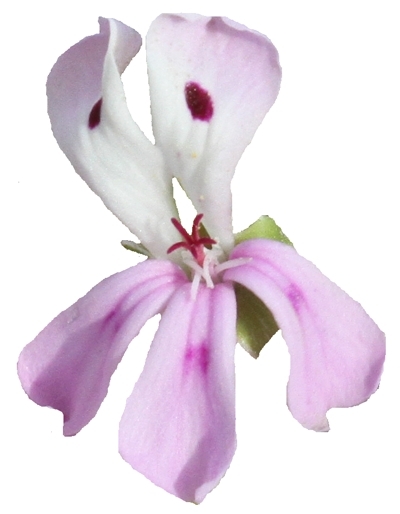 Either without markings, or with markings on the posterior two petals, or on all five petals. 6-7 fertile, 4-5 longer, 2 shorter. 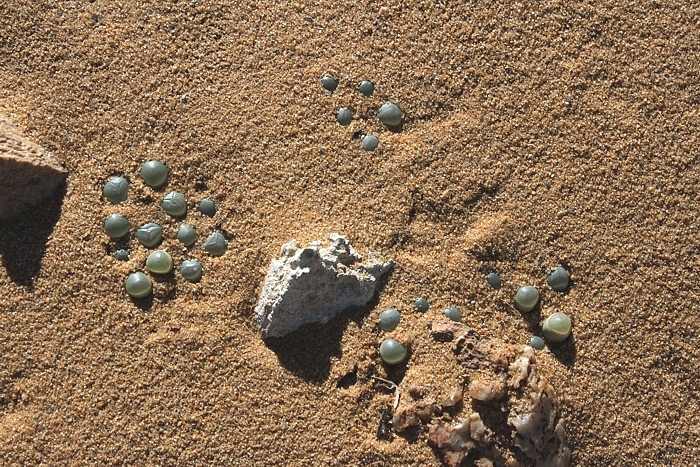 10 km E Alexander Bay, N Cape Province, neighbouring P. sibthorpiifolium and P. klinghardtense, this P. crassicaule looks like what Dinter may have described as mirabile. Both this and the photo above are from the same location, demonstrating the wide variability of petal colour and markings in this species. The same locality, another incredible plant: Fenestraria rhopalophylla subsp. aurantiaca. The diversity of plant life sustained by humidity from the cold Atlantic is astounding. 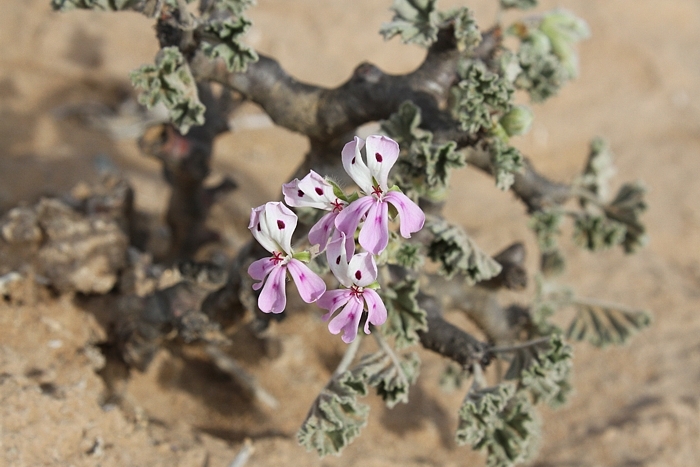 Similar to other plants on the Lüderitz peninsula in southern Namibia, P. crassicaule develops very thick stems here. 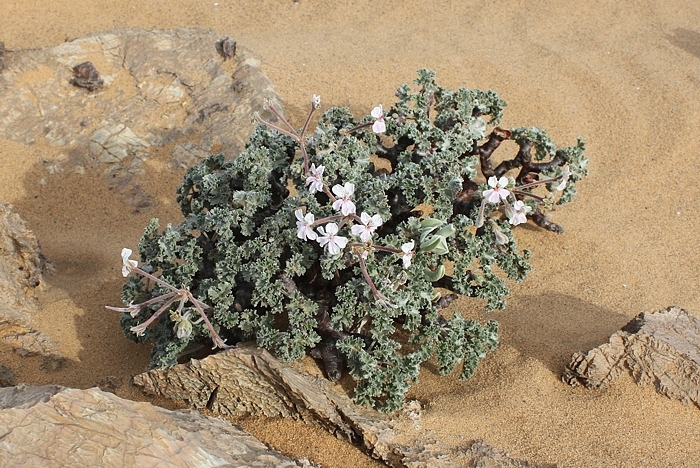 Some consider these plants to be the actual P. crassicaule, while the thin, frequently branched plants found inland from Lüderitz and in the Richtersveld, are often referred to as P. mirabile. 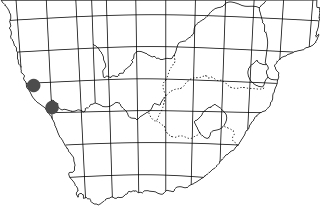 There appear to be no other differences and in greenhouse culture both develop thin stems, so it would seem that these are ecotypes: the thick-stemmed plants representative of the wind-swept coastal areas, the wax-coated coral-like plants of the very hot rock islands of the southern Namib, and the thin-stemmed softer plants representative of the Richtersveld. 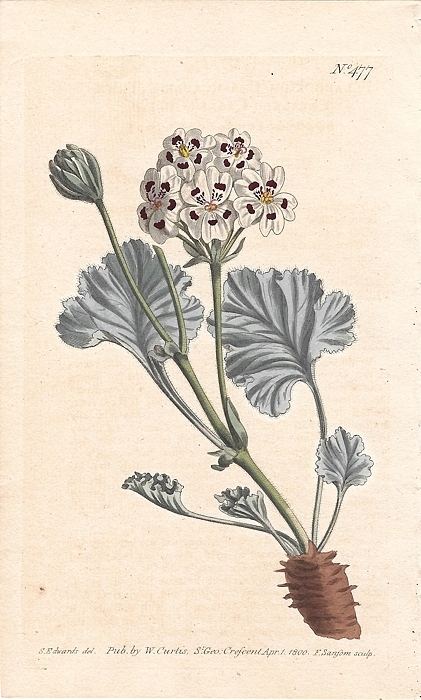 Curtis's Botanical Magazine 1800, Tab. 477. P. mirabile Dinter was recently shown to be an illegitimate name, with P. mirandus Clifton proposed as a valid taxon. It would apear that both are synonymous with P. crassicaule.